Following the announcement early May that Liberia was free of Ebola transmission, the focus has been on staying at zero and completing the seamless and coordinated transition of UNMEER Liberia operations, functions and assets to United Nations agencies, funds and programmes and the United Nations Mission in Liberia (UNMIL). In March 2014, Liberia became the third country to report that the Ebola Virus Disease (EVD) had spread into the country from neighboring Guinea. During September-October, there was a sharp increase mainly driven by a surge in cases in the capital, Monrovia, and at the same time, evidence of substantial underreporting of cases and deaths. By the end of December 2014, Liberia had reported the most deaths; in April 2015, Liberia did not report a single case. 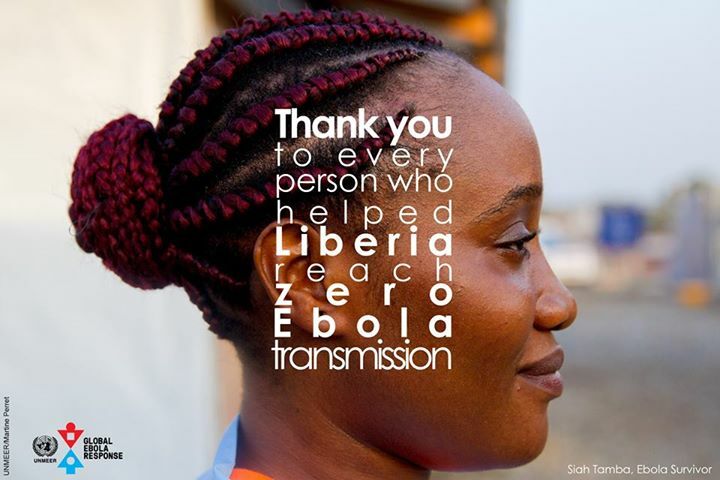 On 9 May 2015, 42 days after the last laboratory-confirmed case was buried on 28 March 2015 in Liberia, the World Health Organization (WHO) declared the country free of Ebola virus transmission. Read the announcement. On 29 June 2015 a new EVD case was identified in Liberia, 50 days after the interruption of active transmission was achieved early May. See the press release for more details. The level of vigilance remains high as an enhanced surveillance framework for priority communicable diseases is being implemented. The framework, which includes community and cross-border surveillance components, leverages routine surveillance and support functions at all levels. It also involves regular monitoring and reporting in relation to 10 epidemic-prone diseases and public health events. The value of the approach was demonstrated by the detection of the first reported case in Margibi County. UNICEF, the World Food Programme (WFP) and partners have supplied food and hygiene kits to homes under voluntary precautionary observation, while response workers are monitoring population movements in the county. Current treatment capacity far exceeds need. Accordingly, WHO, in coordination with ministries of health and partners, has continued to pursue the safe decommissioning of surplus Ebola treatment centres. Each country will retain a core capacity of high-quality centres strategically located to ensure complete geographic coverage, with additional rapid-response capacity held in reserve and 5 will remain in Liberia. In Liberia, the equipment and commodities to implement 16 rapid isolation and treatment facilities remain pre‑positioned. 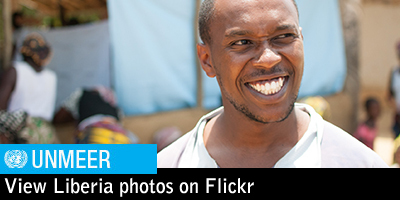 Training to improve engagement with Ebola-affected people in health-care settings has begun. At a recent meeting of foreign medical teams in Sierra Leone, Ebola treatment centre workers received training and information on how to offer support and build the communication skills of health-care staff to further improve the treatment centre environment. There is sufficient laboratory capacity in the country to meet existing needs. 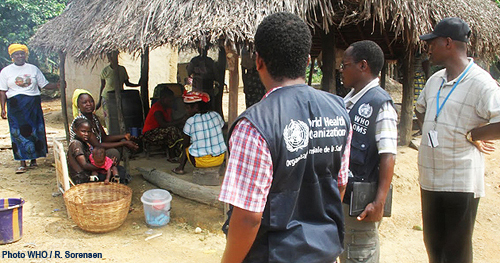 In June, the number of operational laboratories, coordinated by WHO, decreased from 4 to 3. In Liberia, response activities have focused on early recovery and longer-term strengthening of the health-care system. The International Organization for Migration (IOM) is providing technical assistance to the Government in the updating of the guidelines for community event-based surveillance, ensuring alignment with the integrated disease surveillance and response strategy. IOM, the Ministry of Health and other partners are planning community event-based surveillance training sessions in Bomi, Grand Bassa and Grand Cape Mount counties. WHO has continued to coordinate and deploy international technical assistance from the Global Outbreak Alert and Response Network for nationally led response efforts, deploying 9 experts for critical response functions. In addition, to ensure safe migration and better health management, IOM is currently carrying out humanitarian health and border management activities. To maintain effective checkpoint operations, it is providing tents, hygiene kits and other equipment at the borders. In Liberia, the midterm assessments of the cross-border operational plan concluded for Bong, Gbarpolu, Grand Cape Mount, Lofa and Nimba counties. The assessments were aimed at identifying gaps in coordination, preparedness and surveillance capacity in border towns in those counties. Further support was recommended for the expansion of community event-based surveillance in all communities. Related training in Grand Gedeh, Maryland and River Gee counties is under way. 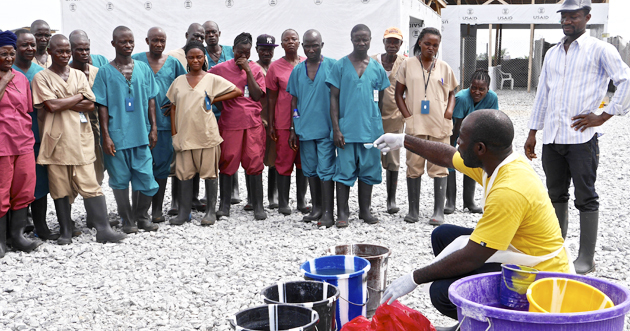 In Liberia, the United Nations Development Programme (UNDP) has facilitated hazard payments for some 6,555 Ebola response and routine health-care workers covering the period from October 2014 to March 2015. Hazard payments for April and May 2015 are currently being vetted by the Government. With the exception of routine health-care workers responding to the current outbreak, the April and May payments will be the last. The Office for the Coordination of Humanitarian Affairs (OCHA) continues to monitor humanitarian needs in Liberia, providing operational and technical support to emergency preparedness and contingency planning mechanisms. OCHA facilitated the roll-out of the health, logistics, water, sanitation and hygiene, protection, early recovery, food security and education clusters and supported the resident coordinators’ fundraising, coordination, information management and advocacy efforts. The WHO infection prevention and control team in Liberia is supporting the Ministry of Health in the development of a comprehensive infection prevention and control training module. The Organization continues to support the Government in ensuring improved vaccine supply and quality. Maintaining updated distribution plans at the national and county levels to ensure the regular supply of high-quality vaccines to all service delivery points remains a priority. In addition, WHO continues to work with the Ministry of Health to strengthen outreach activities in all health-care facilities through the revision of outreach plans, the implementation of planned outreach activities and the provision of incentives and logistical support for outreach. WHO is assisting the Ministry of Health of Liberia to move towards the establishment of a national public health institute, including by supporting a leadership course targeting high-level Ministry officials, planned for July, and a structured study tour to relevant national Centre for Disease Control and Prevention offices. The Organization is also assisting in the strengthening of national response capacity in planning, implementation, data collection and monitoring with regard to mental health and psychosocial support by supporting a two-day technical consultation on the impact of Ebola on mental health. In Liberia, of the 3,660 registered children, 69 per cent have received a one-off cash payment of $150 through the Ministry of Gender, Children and Social Protection. UNICEF is supporting the revitalization of birth registration and certification, which slowed down or stopped in many health centres over the past year. Assessments have shown that most of the 73,000 children born during the outbreak have not been registered. UNICEF is supporting the Ministry of Education with the procurement and distribution of teaching and learning materials. To date, the materials have been distributed to benefit 29,776 pupils and 1,942 teachers in 120 of the targeted 995 schools in Montserrado County. UNICEF is also working closely with county and district education personnel to finalize distribution plans in the remaining counties. In total, 4,619 schools serving some 1.2 million children received infection, prevention and control kits. To ensure the effective implementation of safety protocols in all schools, all the 98 district education officers were trained in the use of the kits. They then trained two teachers and one parent-teacher association member from each school, bringing the total to 9,238 teachers and 4,619 parents. UNICEF is supporting the Government’s efforts to harmonize standards for water, sanitation and hygiene infrastructure improvements and hygiene promotion in schools. Water, sanitation and hygiene facilities in selected schools are being assessed. In the first phase, 140 schools in nine counties will receive a full water, sanitation and hygiene package that includes supplies, sanitation facilities that cater to the needs of boys and girls, waste management facilities, accessible hand-washing locations and school health clubs. The Food and Agriculture Organization of the United Nations (FAO) conducted in Liberia four community workshops, attended by representatives of 50 rural women’s associations, in Bong and Lofa counties. It has trained representatives of 50 village savings and loan associations on microfinance and cash management and made conditional cash transfers to 150 women’s associations in the most Ebola-affected areas of Bong, Lofa and Nimba counties, while activities are continuing to rehabilitate 90 ha of rice fields. The United Nations remains steadfast in its commitment to supporting the Government of Liberia in remaining at zero cases. As UNMEER closed on 31 July 2015, I have determined that the high-level, dedicated UN leadership to reach zero cases will remain in the countries beyond the lifespan of the Mission, under the oversight of WHO and with the support of United Nations country teams, until the end of December 2015. The United Nations agencies, funds and programmes, the United Nations Mission in Liberia and national and international partners have undertaken necessary operational functions, such as logistics, field crisis management and information management, to enable this seamless transition process. Read how a pilot training, rolled out by the Ministry of Health and WHO, aims to give health workers the confidence and capacity to respond effectively should Ebola re-emerge.